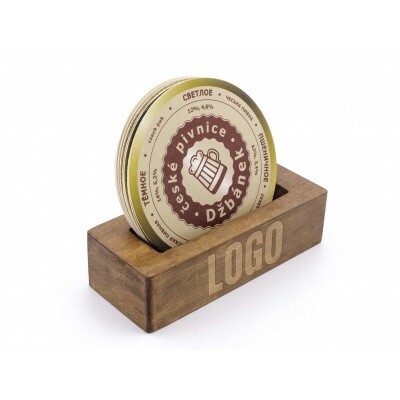 Beer mats or beer pads - are the underlays usually made of special carton with advertising of beer or beverage to be served with the drink and to absorb condensation dripping along the glass or serve as an ad-hoc notepad. 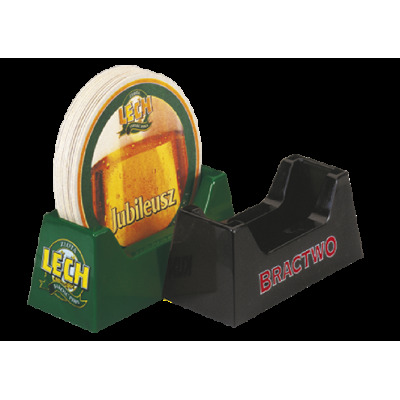 Special beermat holders or containers for beverage coasters are widely used and placed on the bar counter. 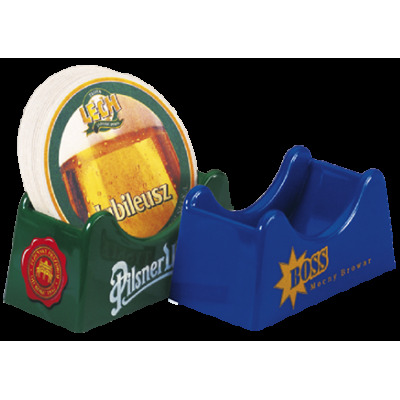 Thus, customized beer mat holders serve as a "reminder" for visitors about your brand before ordering a drink. 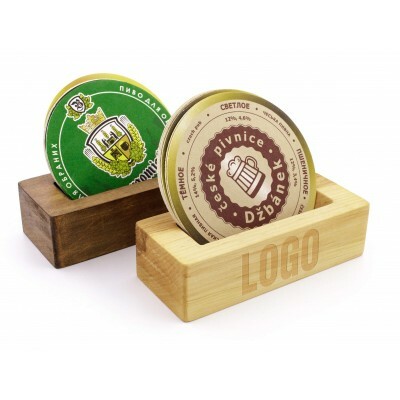 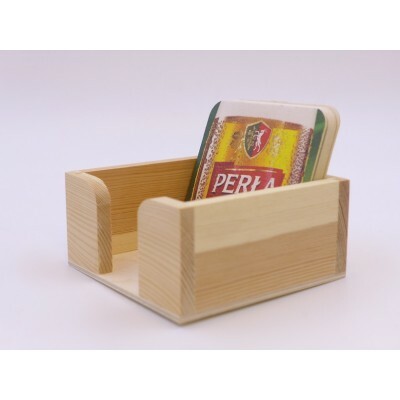 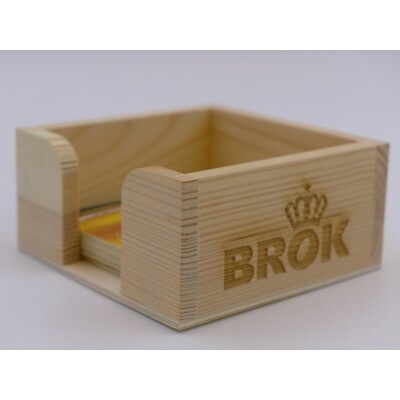 Our offer includes containers for beer mats made of colourful plastic and natural wood. 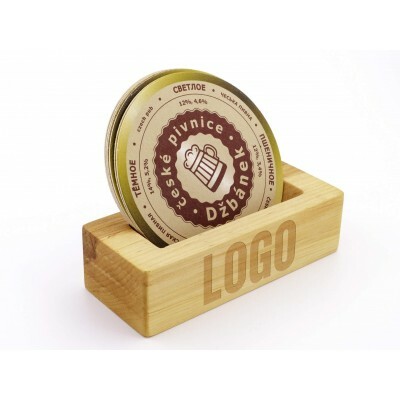 Custom printing or engraving are possible on each of the sides of the beermat holder. 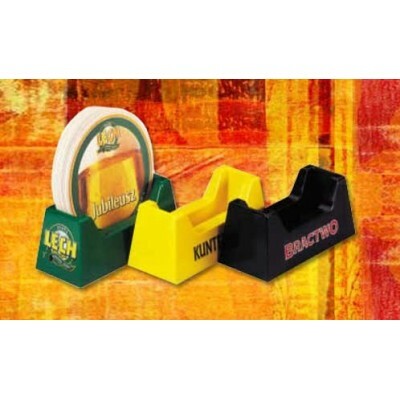 Beermat holders There are 4 products.